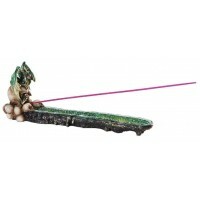 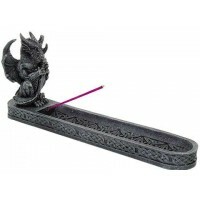 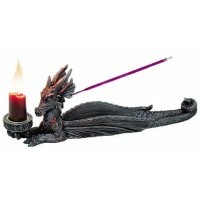 Made for stick incense, this boat style incense burner features a dragon perched at one end. 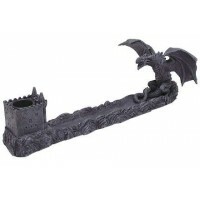 Gray stone look cold cast resin dragon is 10 1/4 inches long. 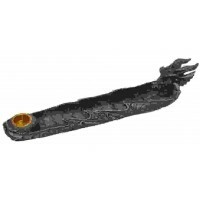 Item Number: PT-10562 | Approximate Size (Inches): 10.25 wide x 1.75 deep x 2.18 high | Approximate Shipping Weight: 1.00 lbs.